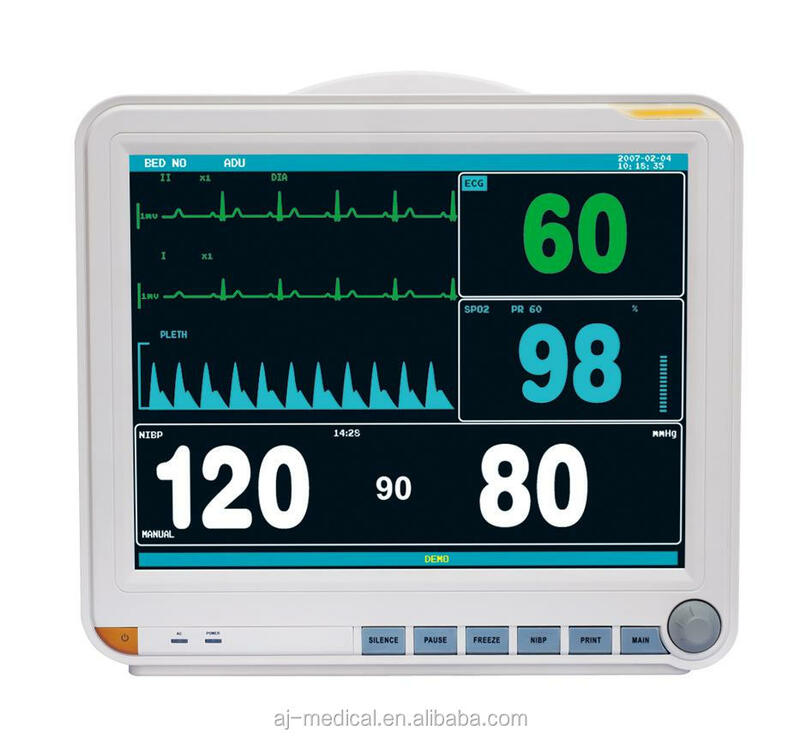 1.6 Standard parameters: ECG, RESP, NIBP, SPO2, 2-TEMP, PR/HR. Category Product Name Model No. 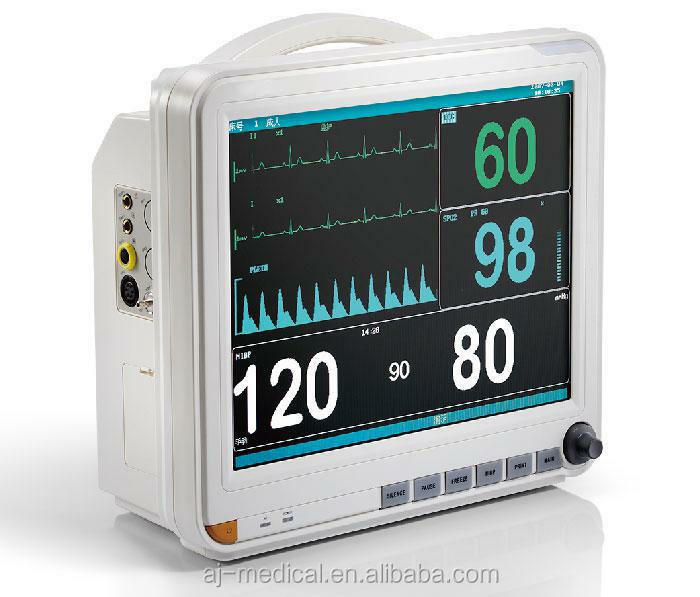 ·15"high resolution color touch screen display. 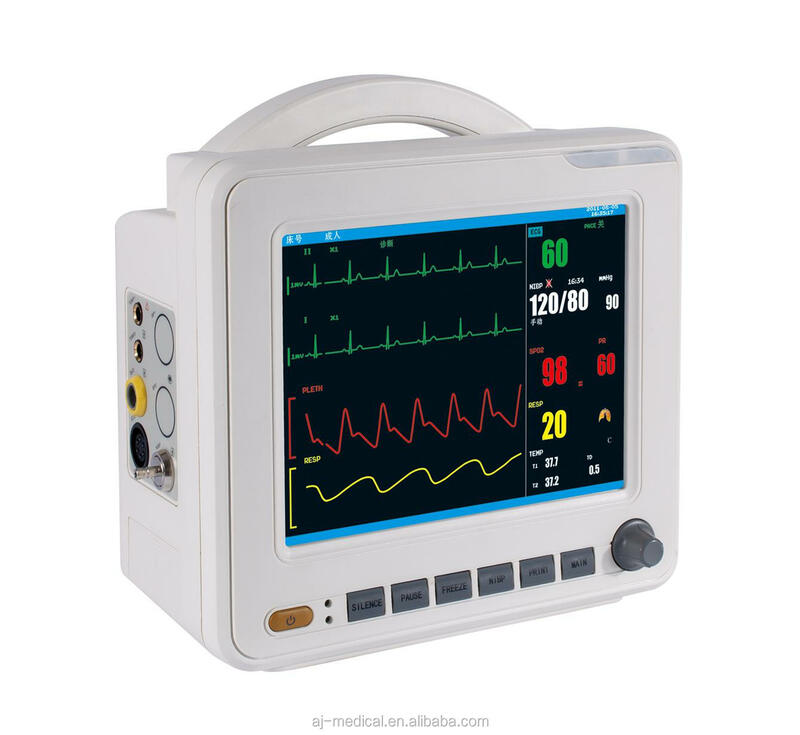 ·15"high resolution color TFT LCD display. 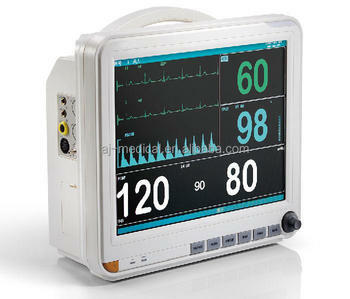 ·12.1"high resolution color touch screen display. 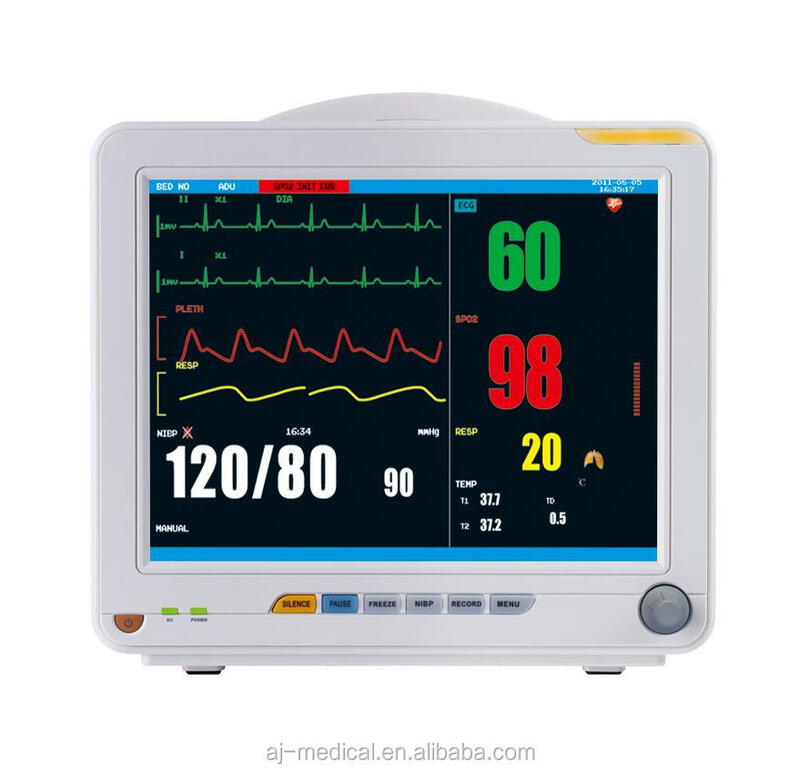 · 6 Standard parameters: ECG, RESP, NIBP, SPO2, 2-TEMP, PR/HR. 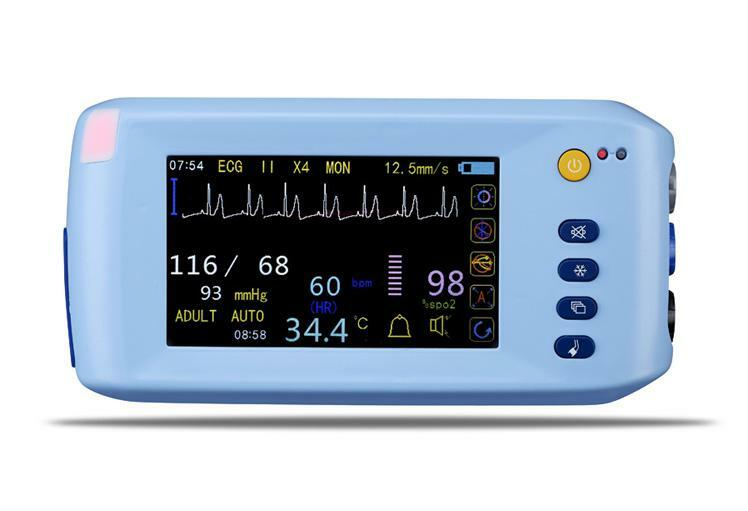 · 8 "high resolution color TFT LCD display. · Real time S-T segment analysis, pace-maker detection. 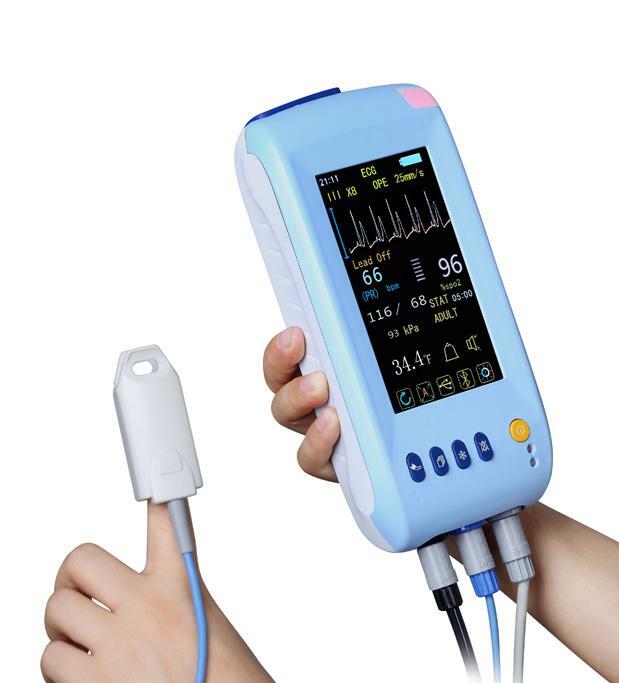 · Indication of Incorrect manipulation and malfunction analysis. 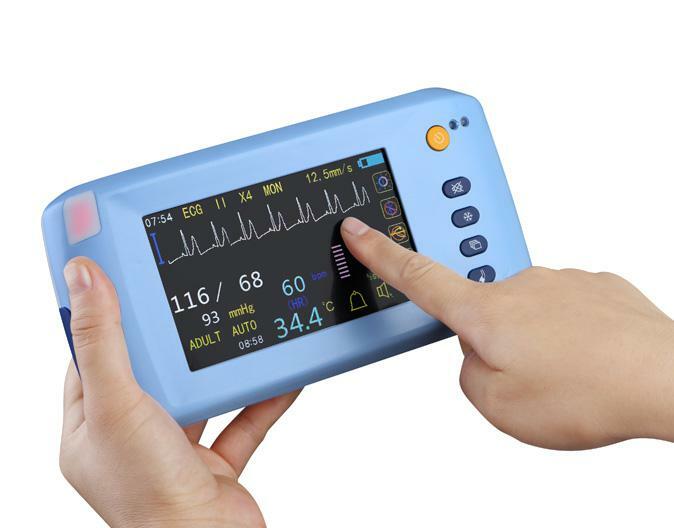 · Multi-lead ECG waveforms display in phase. · Large volume of tabular and graphic trends information storage and easy to recall. 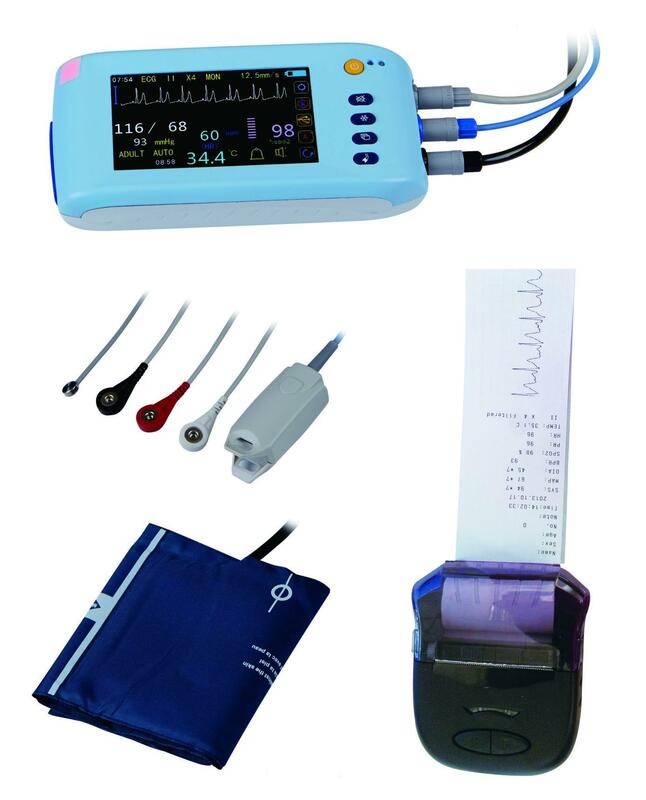 · Efficient resistance to interference of defibrillator and HF knife. 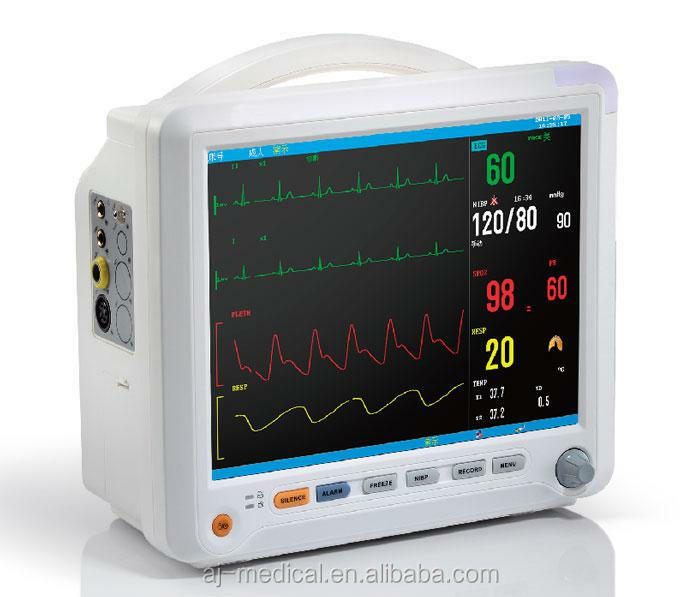 · UP to 2 hours working capacity of built-in rechargeable battery. · Unique accessory management cabinet. 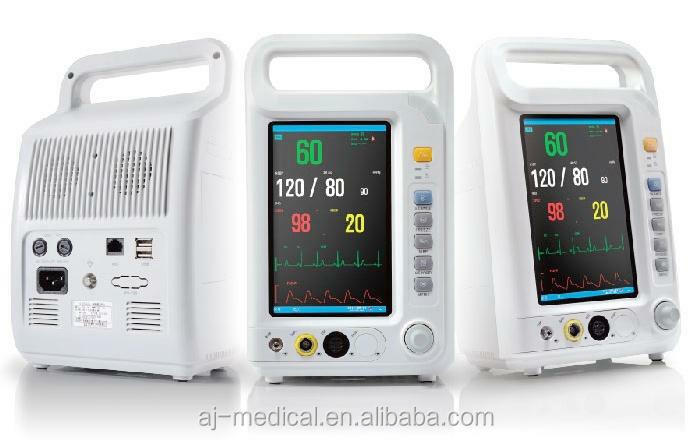 * Easy to carry, suitable for ambulance center, has the stand for fixing.